Key business leaders – including President Macri's cousin Ángelo Calcaterra – and ex-public officials also called before the courts under framework of the so-called 'Notebooks' corruption probe. Former president Cristina Fernández de Kirchner has – for the third time – been called for questioning at the Comodoro Py courthouse under the framework of so-called 'cuadernos' ("notebooks") graft case. Key business leaders and ex-public officials were also summoned, with prosecutors and judges probing alleged corruption and bribery centred on the ex-head of state's government. 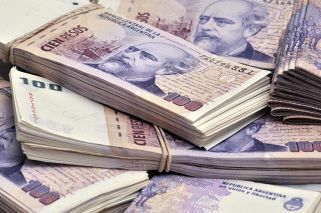 The case, which is focused on detailed records of alleged crimes written by Oscar Centeno, a former driver and chaffeur detailed to the Planning Ministry, is one of Argentina's most high-profile corruption probes to date and focuses on bribes and corruption related to public works contracts. Sources at the courthouse said Judge Bonadio summoned the sitting senator for Buenos Aires province and 100 other individuals this afternoon, as investigators explore an alleged corruption and bribery ring centred on the Kirchnerite administrations that led Argentina from 2003 to 2015. 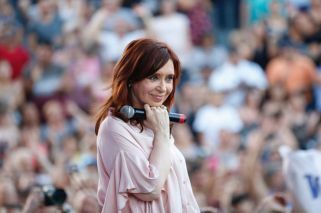 According to sources inside the courthouse, Fernández de Kirchner will appear for questioning on February 25, a day before a trial opens against her addressing alleged fraud in other public works projects. The former president, who governed Argentina for two terms beginning in 2007, stands accused of heading the corruption scheme. Fernández de Kirchner, 65, remains one of the most popular figure of Argentina's fragmented opposition, with a crucial election due this October. She has yet to indicate if she will run for president again, this time against Macri. However, since leaving office, the ex-head of state has been dogged by legal woes. This is one of six cases open against her at present, which cover alleged crimes including money-laundering, fraudulent administration, concealment and illicit association. At present, as a sitting senator, she enjoys parliamentary immunity, which protects her from being jailed under pre-trial detention. According to prosecutors, at least US$160 million in bribes were paid between 2003 and 2007, during the government led by her late husband, Néstor Kirchner.